Dallas diamond jewelry house Avior Jewelry now offers custom engagement rings designed by in-house CAD designers and crafted by traditional artisans. The company uses GIA-certified diamonds inlaid in gold or platinum. Other products include wedding bands, luxury watches, and designer jewelry. Dallas diamond jewelry house Avior Jewelry announced the launch of GIA-certified diamond custom engagement rings. The Dallas wedding jewelry studio offers in-house jewelry design services as part of this service. The studio’s in-house CAD designers combine the precision of technology with the experience of crafting fine jewelry in Dallas to design engagement and wedding rings based on a customer’s requirements. Avior Jewelry also offers design modification services for its existing catalog of fine wedding and engagement jewelry. The design process combines the latest in imaging and design technology with the skill of jewelry artisans. The CAD design and custom crafting processes ensure that customers receive their engagement rings within 2 to 3 weeks. Engagement rings and other jewelry are backed by the company’s assurance of quality and a flexible buyback policy. 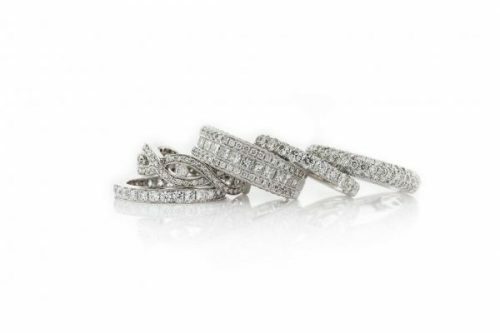 Avior Jewelry specializes in engagement rings that use diamonds certified by the Gemological Institute of America (GIA). The GIA certification affirms that all diamonds used by the studio are obtained responsibly and meet the highest American and international standards for quality and purity. The studio also showcases its collection of luxury watches and designer jewelry in gold and platinum. Named after the brilliant Epsilon Carinae—the Avior star—Avior Jewelry is a family-owned diamond house specializing in wholesale diamonds and fine jewelry. The Dallas wholesale diamond house has more than 25 years experience in the industry with a design catalog featuring influences from around the world. More information is available at the URL above.